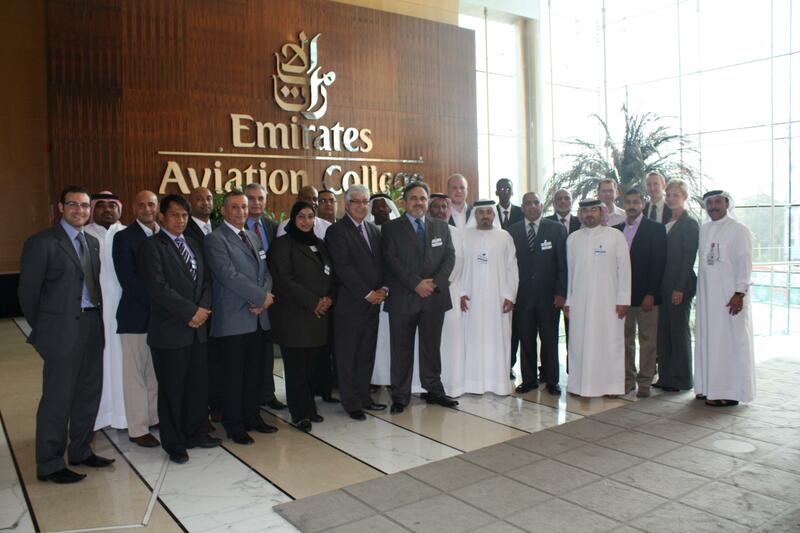 DUBAI, UAE, 20th May, 2011- For the third time, Dubai through Emirates Group Security successfully hosted The Aviation Security Professional Management (AVSEC PM) Course . Regarded as a prestigious accreditation by the International Civil Aviation Authority for Aviation Security Professionals, this was made possible through the collaboration between the Center of Aviation & Security Studies (CASS) of Emirates Group Security, the Arab Air Carriers Organization (AACO) and the International Civil Aviation Organization (ICAO). The initial classroom sessions were held from 20th - 24th February 2011 and the final phase was held from 15th - 19th May 2011 at the Emirates Aviation College. A total of twenty three (22) aviation industry professionals - from 13 different countries, Bahrain, Saudi Arabia, Lebanon, Ireland, Sweden, India, Panama, Libya, Syria, Oman, Libya, Pakistan and the United Arab Emirates enrolled in the course. "The AVSEC PM course is an excellent example of high-quality management training which has been tailor-made for professionals working in the aviation industry. It has been designed specifically to improve management practices focusing on the essential aspect of aviation security." "The collaboration between ICAO, AACO and CASS in conducting this course will help improve educational and professional development opportunities for the industry at the local , regional as well as international levels. The 13 different nationalities that participated in the course this time around is a testament of this. We are delighted to be able to offer this course at our facility in Dubai to cater for the expanding aviation industry in the region and hope it is the first of many involving the three organisations." The course, administered by academics from Concordia University of Montreal, Canada and ICAO practitioners, comprises two (2) weeks of classroom sessions and separated by ten (10) weeks of rigorous distance learning modular . Demanding very high standards from the participants , the course exudes a very rigid examination and certification process which requires assignments and on-line test have to be submitted to the University and an examination and a comprehensive project based presentation . Centre of Aviation & Security Studies. Run in close partnership with Edith Cowan University of Western Australia and several universities world wide e.g. Open University of Malaysia. The centre provides high-quality, university-affiliated educational and training programmes. The centre employs qualified trainers and education consultants who provide client-specific programmes. Curricula development includes research into comparable international syllabi to ensure a comprehensive programme. The centre is a world-class leader in the provision of educational programmes. The distinguishing factor of the centre is that it takes training to new heights by combining knowledge from various sectors and making all their programmes competency-based whilst providing an expanded educational component. What this means is that programmes offered are based on sound training and educational principles. Students may qualify for credits in comparable institutions internationally. All students receive certificates with international affiliations.